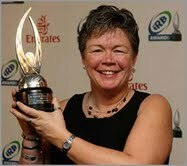 In September 2009 the IRB announced the appointment of Carol Isherwood, OBE to the IRB Rugby Committee. The committee has a broad remit, dealing with all issues related to the playing of the Game and Carol will help inform IRB decisions regarding the Laws, the International Match Schedule, player welfare and the training of coaches and officials. She was appointed in recognition of the need for a perspective from the womens game. However, whilst on committee to offer a womens point of view she will deal with aspects of the global game as a whole and recognises there will be a need for diplomacy. Isherwood explains In terms of raising womens issues you have to know when to raise the right points at the right time, and to pick your battles. You cant just say what about womens rugby? every time. "For anyone involved in our great game, it is an honour to be selected to join the IRB Rugby Committee, but I am particularly proud to be the first woman. I am really looking forward to contributing to the essential service the Committee provides for the whole game and hope I can bring new ideas and a fresh perspective with me. It was almost a given that Carol would be the first female to sit on the committee, but as a leading figure in the womens Game for over 25 years as a player, coach and administrator, she is accustomed to leading the way. Like most who play womens rugby, (well those over a certain age!) Carol did not have access to rugby growing up. In fact being from up north she was far more interested in League. But a chance meeting with a female rugby player whilst hop picking, inspired her to set up a team at her University in Leeds.With few other womens teams in the country the newly formed Leeds University team either played friendlies or ten minute matches at tournaments. Unsatisfied, the early teams agreed to establish Leagues and a governing body. As a founder member of the Rugby Football Union for Women, Isherwood pioneered the development of the womens game in England. She modestly down plays her initial involvement, suggesting she was voted Secretary due to her absence at the initial meeting. However, the fact that she has risen to IRB committee member suggests that those who voted for her made a canny decision. In fact, Carol proved to be the perfect choice. She demonstrated her commitment to the position by putting her career on hold in the first four years of the RFUW in order to commit time to her role as Secretary. A commitment that current players have benefitted from with the 12 founding teams, largely centred on Universities, growing to 550 in just 26 years. In 2003, Isherwood was honoured for her services to womens rugby, with an OBE. And the accolades did not end there. In 2008 she was voted International Womens Personality of the Year. Its just because Im getting old and they thought they should give me something before I die jokes Carol. But its clear not even she really believes this, commenting that were it not for injury youd struggle to keep her off the field. Its hard not to be impressed by these awards, but Carol herself says her highlights took place on the field. Finally winning a Cup Final - having previously lost in three cup finals, one World Cup final and a European Cup Final - features top. Playing for England and Great Britain and especially beating the previously unbeaten New Zealand all rate highly. Although being able to take Mum to Buckingham Palace was pretty special too says Carol. Or perhaps her real highlight is what the game has given her. I love what sport can do for people. I love rugby. The friends I met when I first started playing are mates for life. We still meet up once a year for reunions, which we all consider unmissable. Looking to the future, Isherwood believes the greatest challenge facing womens rugby, and indeed the game as a whole, is the Olympics. Whilst recognising it as a great opportunity she is concerned that many nations will resort to only funding 7s. It is both an opportunity and a potential threat. There are women the world over who want to play 15s, but will they now have access to the game? 15s is still very important to the development of the womens game. It is a game for all sizes, which 7s can not claim to be. 15s requires more people, more money, but now potentially less exposure, which could make it less attractive. Isherwood is concerned that the continuation of the extended game will be particularly hard in countries where women have less of a voice. There are Unions, like in England, where the women are separate and have their own committees and therefore a voice to demand 15s. New nations will have womens rugby as old as mens and so have an equal voice, but I fear for womens rugby in traditional rugby countries where the womens game falls under the same committee as mens rugby and therefore effectively their voice is diminished. Solutions will need to be explored as it is certainly necessary to make success in the 15s game, and therefore the Rugby World Cup, attractive. The game has clearly come a long way since Isherwood and co first established the RFUW, but Carol is not finished. I want to grow the game globally and to change the culture of the game so that womens rugby is mentioned in the same breath as the mens. It needs to be seen and considered in the same light, naturally assumed to fall under the wider umbrella of rugby, rather than a mere addition. Isherwood is also very excited about the upcoming World Cup in England. The game at Twickenham [England Vs New Zealand] was fantastic with both sides showing the standard of the womens game and providing the best possible advert to encourage people to watch the Womens Rugby World Cup next year. I am already really excited. It is going to give us a great opportunity to grow the game both in terms of playing numbers and profile. I am totally confident that the IRB and RFU are not going to squander this opportunity. Now that the competition is actually happening in a traditional rugby nation it should be easier to promote and to generate interest. But as much as it is the responsibility of the IRB and the RFU, after talking with Carol and realising the hours she has worked to get the game this far, you begin to think that it is just as much the responsibility of all of those involved in the womens game. It is everyones responsibility to get all their mates along says Carol. Carol Isherwood has achieved an unprecedented amount for and because of Womens Rugby and it is evident that the game would not be where it is today with out her like. In 26 short years the game has progressed unrecognisably and when you consider that there were just 12 teams and no leagues when Isherwood and friends first founded the RFUW, some of the quibbles we have today seem inconsequential. It maybe worth remembering this from time to time, and realising that if we want more for and from the game, maybe we should take a leaf out of Carols book, and go out and work for it.